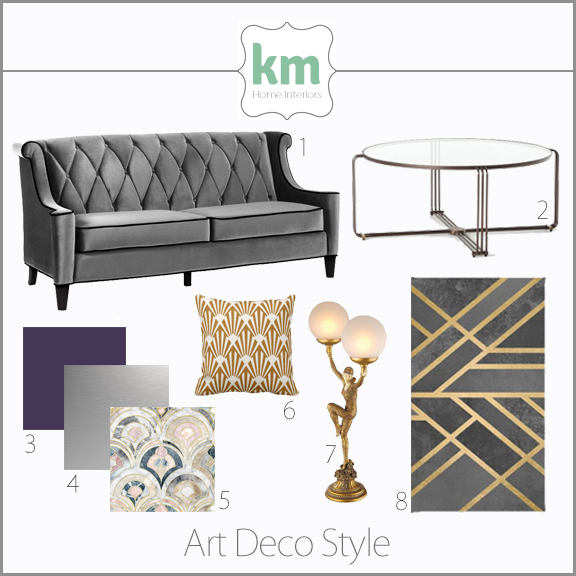 This month’s Design Style Guide takes a look at the classic style of Art Deco. From The Great Gatsby and flappers to the colorful buildings of Miami, this style was all the rage in the 1920’s and it’s still beloved by designers for its glamor and artistic flamboyance. Definition Art Deco is the style that defined the 1920’s. Luxury, opulence, and highly decorated interiors became all the rage. It was developed from a desire to be as modern and fashion forward as possible. Originating in Paris, Art Deco saw the invention of the skyscraper, the rise of highly ornate architectural details on the interiors balanced by clean lines on the exteriors, influence from cubism, and use of bold colors (like those eye catching buildings in South Beach, Miami). History Art Deco encompassed every aspect of design from architecture to fashion to automobile and product design. It was prolific around the world and held strong here in the United States until the start of the Great Depression when the focus of design became less on opulence and more on necessity. In the 1970’s there was a push to preserve the most iconic examples of Art Deco architecture and many abandoned building were revitalized and repurposed. Spot the Style The highly stylized aspect of Art Deco makes it easy to spot. Architecturally, grandeur was the focus and everything was state of the art. Today, Art Deco can be spotted in cities like Buffalo, New York, Chicago, and Miami. 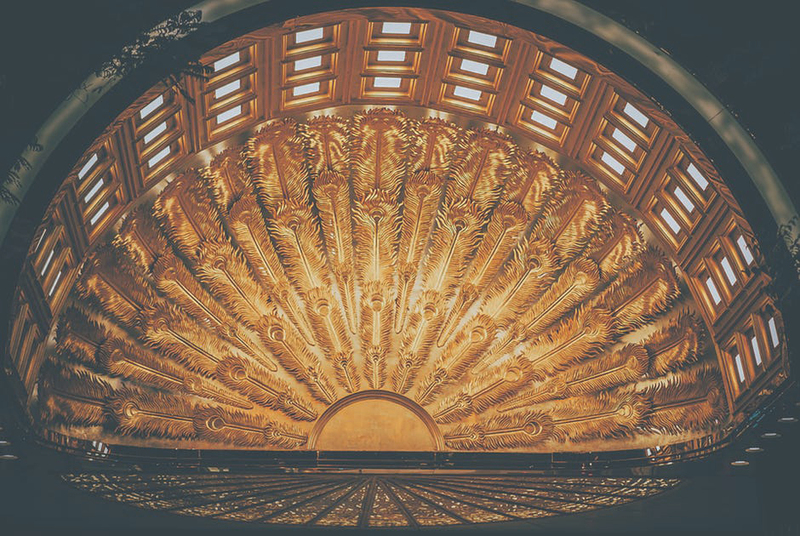 Many famous buildings were constructed during the Art Deco craze such as Radio City Music Hall, the Chrysler Building, and the Lincoln Theater in Miami Beach. Art Deco interiors feature bold geometric cubist patterns, vibrant colors, and luxurious materials such as ebony, marble, glass, chrome, and exotic animal skins. Notables Countless famous buildings, designers, and furniture pieces came from the Art Deco time. But you don’t have to stock up on vintage pieces to get the look. Art Deco is continuously ranked as a favorite style among contemporary designers and many incorporate the look into their creations. Rafael de Cárdenas of Architecture At Large is able to create Art Deco spaces that feel fresh and contemporary. His Glebe Place Residence is a beautiful example of how Art Deco still has a place in a home today.